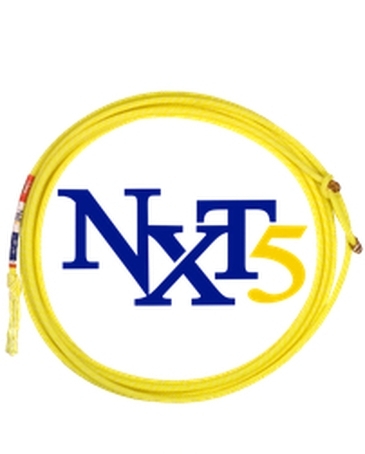 THE NXT IS MADE OF A REVOLUTIONARY, POLY-BLENDED FIBER UNIQUELY PROCESSED FOR A FEEL SECOND TO NONE AND LIKE NO OTHER ROPE ON THE MARKET. THE NXT5 HEAD ROPE IS AN INCREDIBLY FAST AND SMOOTH FIVE STRAND WITH THE WEIGHT AND FEEL OF A BLENDED FOUR STRAND. IT IS EASY TO HANDLE WITH A SMALLER DIAMETER AND ENHANCED TIP, GIVING HEADERS MORE RANGE THAN EVER BEFORE. 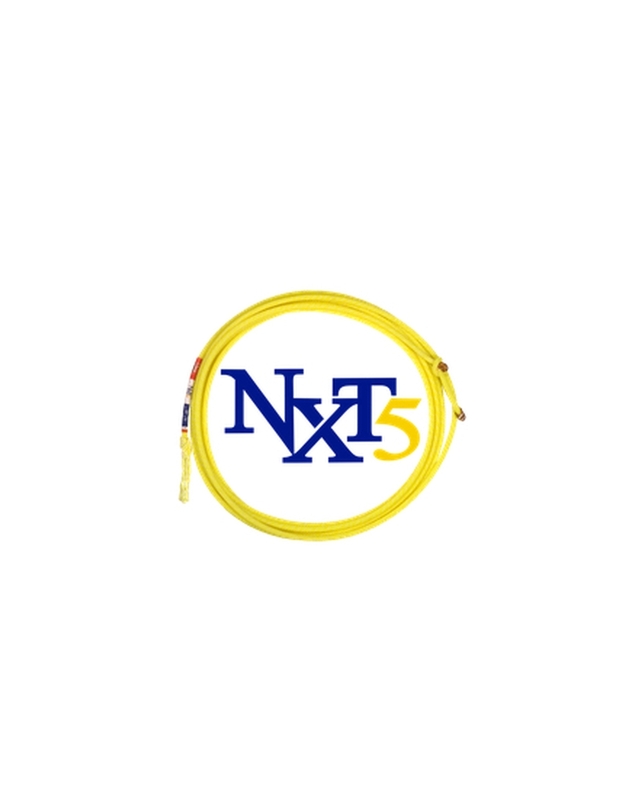 THE NXT4 FOUR STRAND HEEL ROPE HELPS ROPERS GUIDE THEIR TIP FOR THE CLASSIC DELIVERY AS THE BOTTOM STRAND FINDS ITS WAY TO THE GROUND WITH A WIDE-OPEN LOOP. AVAILABLE IN XXS XS S AND MS.